ANOTHER new name was added to Brendan Rodgers’ squad list today, the seventh of the summer, with the arrival of young right-back Javier Manquillo on a two-year loan from Spanish side Atletico Madrid. Manquillo, 20 years old and a Spanish youth international, has joined on the loan deal that is understood to include an option for the Reds to purchase him outright at a fee of around €5m. Before joining the current La Liga champions in 2007 Manquillo was a member of Real Madrid’s academy. 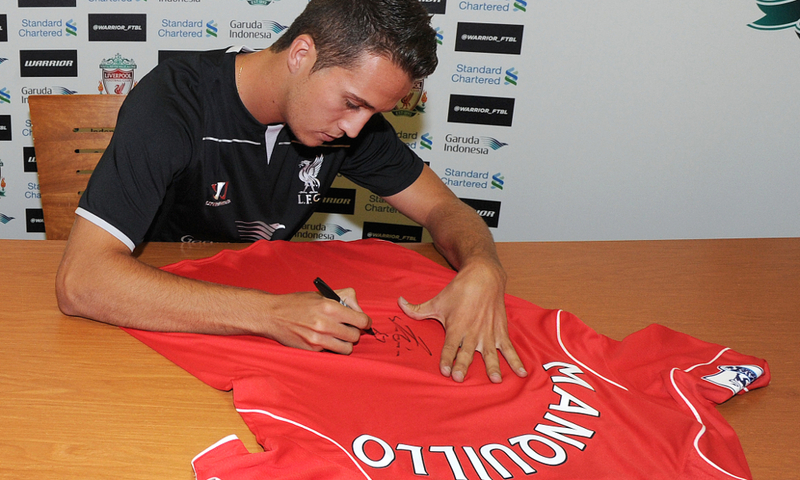 Speaking after signing his loan deal, Manquillo was full of praise for his temporary new home: “I’m very happy to have signed for a club like Liverpool. I think it’s one of the biggest in Europe. Any footballer would want to come and play here. “When they tell you Liverpool want to sign you, I think like any player, you are going to be absolutely amazed and you don’t think of anything else than going straight there. Meanwhile a familiar name looks to be on his way out. Bayern Munich confirmed last night that they had been given permission to speak to Liverpool’s Spanish goalkeeper Pepe Reina, deemed surplus to requirements at Anfield by Brendan Rodgers and available for a cut price fee as the Reds look to reduce the burden of his salary on their wage bill after splashing out £9m on Simon Mignolet a year ago. The keeper, who spent last season on loan at Napoli with former Reds boss Rafa Benitez, is expected to undergo a medical today with the German champions.